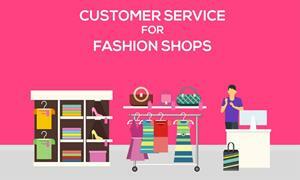 In this exciting course, you’ll learn what it takes to provide outstanding customer service for fashion shops. This profession has many desirable skill sets and benefits and includes understanding about the career of a personal shopper and the different types of personal shopping that exists, but with a focus on the fashion industry. The course also includes understanding body shape, and colour analysis. As a personal shopper, it’s also important to know how to take account of, and cater to, your individual client’s unique fashion requirements. Customer service and fashion experts will also teach you about trends, and the communication and protocol involved in social events. You’ll also receive valuable guidance to steer you within your career progression. 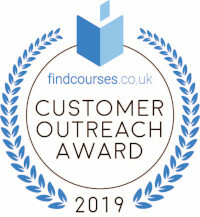 In addition, key to your customer service expertise will be learning about the many facets of consumer behaviour and how to excel in a customer service role. Learn also how to effectively attract customers to your shop. And, finally, put your newly gained personal shopping skills to practical use in terms of creating fabulous window and in-store displays, up-selling with the use of hair and make-up styling and general accessories, selling advice, and how to grow your retail presence. All businesses that sell a product or service to the public should strive to provide their customers with the best possible service every time. This course aims to provide retail workers with the necessary skills and information needed to always put the customer first and go beyond with their service. Suitable for anyone working in a retail customer service role, at all levels of employment, who wishes to improve their service skills to ensure they’re constantly and consistently achieving and exceeding their customers’ needs and expectations. This includes all employees who deal directly with customers face-to-face or over the telephone. Successful candidates will be awarded a certificate in Customer Service for Fashion Shops. At the end of the course learners will take an online multiple choice questions assessment test. This online multiple choice questions test is marked automatically so you will receive an instant grade and know whether you have passed the course. Fill out your details to find out more about Customer Service for Fashion Shops.